*You're saving $103.00 by purchasing a pair! "Making Everyday Sounds Better With A Seamless Listening Experience"
Better hearing every day—now that's worth a Cheer! With the latest offering from Sonic, you will be able to better experience those everyday moments that make life so precious. 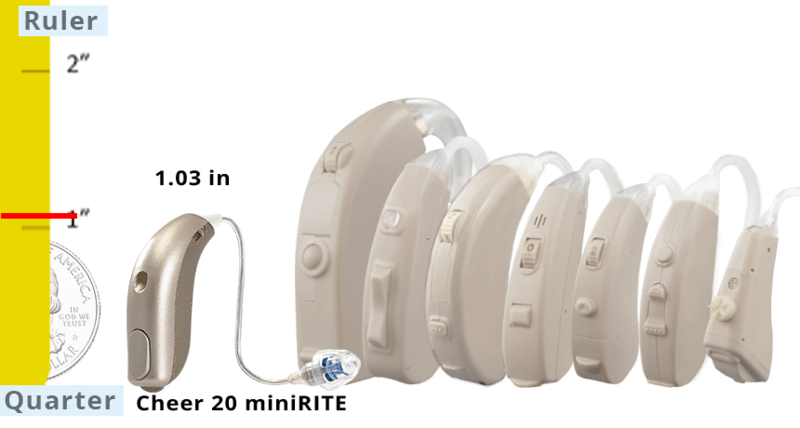 Unlike most cheap hearing aids, the Sonic Cheer 20 is a custom programmable hearing aid for less than $1000 per pair! The result is impressive sound quality designed to keep sounds clear and natural while enhancing overall speech clarity to help you feel more connected to the people around you. Each Sonic Cheer 20 purchase includes a 1-year repair warranty, as well as a 1-year loss and damage policy. 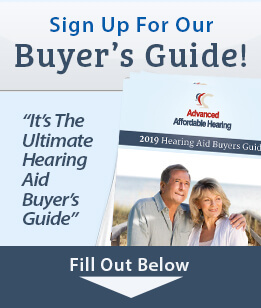 This product is available by pre-programmed ($549 each/$995 pair) to provide help for the most common hearing loss level—Noticeable to Significant. For Profound hearing loss, custom programming is required. If you prefer OR require individual custom programming tailored to YOUR specific hearing test, we offer that as well for only $50 additional. To include customized programming with your Sonic Cheer 20 hearing aid order, click on the button below. Speech Variable Processing - Preserves the soft and loud sounds that differentiate words and enhance speech clarity. Speech Priority Noise Reduction - Works to separate speech from surrounding noise by constantly monitoring and managing incoming sounds, while leaving the speech signal intact. Speech Priority Noise Reduction provides listening comfort and preserves the intelligibility of speech. Impulse Noise Reduction- The amplification of the clinking of silverware or jangling of keys is often rated as one of the most uncomfortable aspects of wearing hearing instruments. Impulse Noise Reduction suppresses these unexpected sounds. Soft Noise Reduction- Soft Noise Reduction reduces these quiet but distracting sounds, like whirring fans or the soft rumble of a refrigerator, without modifying the amplification of important speech-related signals. Directional Microphone System- Cheer 20 hones in on the source of a sound and helps reduce unwanted noise so you can stay engaged in your surroundings. Binaural Coordination- Cheer can synchronize actions between the left and right devices. For example, volume and program changes made on one device automatically occur on the other at the same time. Non-telephone Ear Control- Reduces or mutes environmental sounds on your opposite phone ear for more focused telephone listening. Wireless Accessories- Wireless connectivity3 puts Cheer into play with common technologies like TVs, mobile phones, MP3 players, and more.